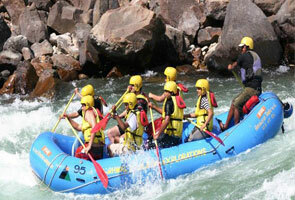 The Chardham Camp is situated at Joshimath town, about16 km from Auli,, which is highly accessed by ropeway. The camps offer luxury stay in spacious Swiss cottage tents with attached wash rooms and showers with 24 hour running hot and cold water. The camp also offers thermostat blankets to protect against the chill. Set amid the tranquility of plush flora at a height of around 6,000 ft, the chardham camps ensures you the best and comfortable accommodation in chardham. The close by monasteries is admired among pilgrimages and the Valley of Flowers is prominent among trekkers for trekking. There are also guided visits to the shrine planned by the camp. 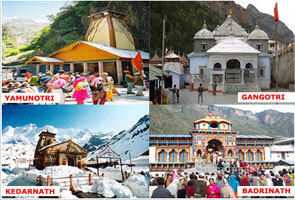 The closest char dham camp for Badrinath temple is situated at the town of Joshimath. 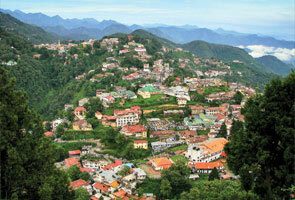 Joshimath is located about 16 km away from the popular skiing destination Auli which is best reachable through ropeway. The chardham camp provides tourist’s accommodation in well equipped, spacious and all weather proof cottage camps with all latest amenities such as attached toilets and baths with hot & cold running water facility. The rooms are designed elegantly in such a manner so that it can match the ambience of its pleasant romantic surroundings. 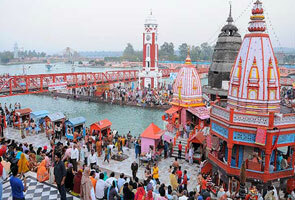 In char dham camp diners are provided multi-cuisine dining facilities. The restaurant serves delicious food which adds fascination to your stay at this place. 6. ISD/STD Conferencing facilities at the camps. By Rail: The nearest railway stations are Haridwar and Rishikesh (257 km away).